Big Sky, Montana is an outdoor lover's paradise. There's more than a lifetime of activities to do in Big Sky's backyard - climbing, hiking, skiing, rafting, peak bagging, biking, or fishing. But there's more to Montana than just Big Sky so we highly encourage you to go out and explore everything that Big Sky Country has to offer. 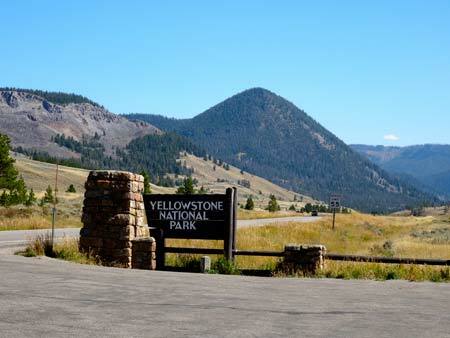 One popular day trip that you don't want to miss is to travel from Big Sky to West Yellowstone. West Yellowstone is one of Big Sky's closest neighbors. West Yellowstone, sometimes referred to as West, is located less than an hour south of Big Sky. It's easy to access and the drive is absolutely jaw dropping. To travel from Big Sky to West Yellowstone turn south on US Highway 191 and follow it for approximately 51 miles. The route follows the Gallatin River as it flows between the Madison and Gallatin Ranges and quickly enters the NW section of Yellowstone National Park. There is no National Park Service gate to access this section of the park. There are lots of place to pull off for a quick hike, fish, or horseback ride. As you drive this route, always be on the lookout for wildlife. The speed limit through the park is 55 MPH so slow down and enjoy the views. Once you exit the park, you'll soon pass the turnoff for Highway 287 and Hebgen Lake. 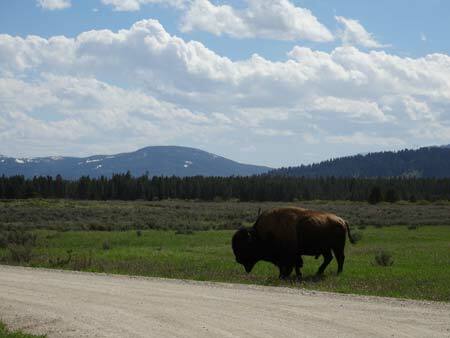 Then the road straightens out and you'll soon be in West Yellowstone - just watch out for bison on this section of road! West Yellowstone is the main gateway to the heart of Yellowstone National Park. The West entrance to the park is open throughout the summer to vehicle traffic, but it is also open in the winter for snowmobile trips into the park. Combine the access to Yellowstone National Park with cool zip line adventures, world class cross country skiing, and top notch snowmobiling in West Yellowstone and you can see why the route from Big Sky to West Yellowstone is a popular one. Due to the beautiful drive and the abundance of activities in West Yellowstone and Big Sky, it's easy to justify a day trip between these two iconic Montana towns. They are the perfect neighbors. Make a point of journeying from Big Sky to West Yellowstone while you're in Montana. It's well worth the trip and it's so easy!